I used to read your adventures in my bedroom, bathroom and by the beach in the Bahamas, soaking in the sun with La Roche Posay Anthelios 60 SPF on my face, your book steady in my hand. 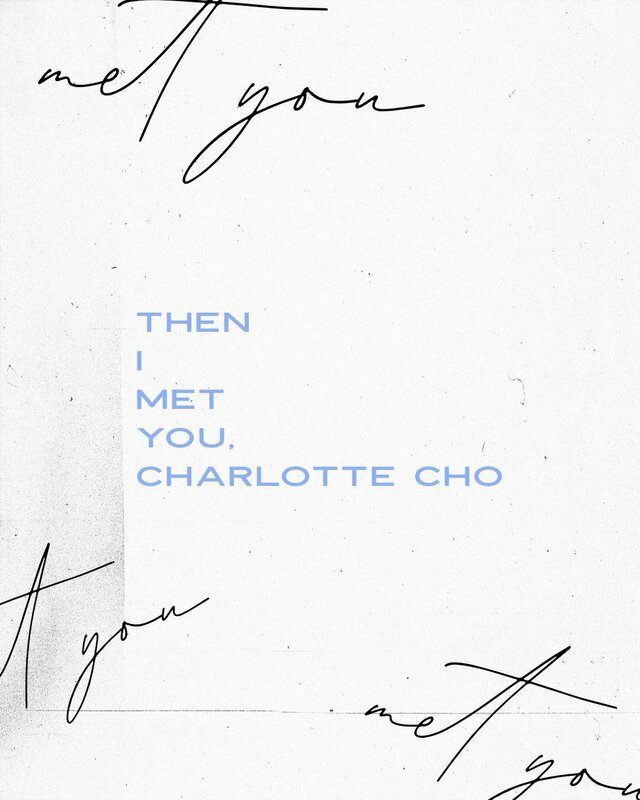 Three years later, I met you, Charlotte Cho. It’s the sentiment of longing, feeling this fathomless yearn for him or her, or them. It’s emotional and it can even get disturbingly confusing in the most beautiful way possible. Is it amorous? Charlotte Cho acquainted those feelings when she introduced the sentiment of jeong with launching her own skincare brand, Then I Met You. I thought to myself, “is it possible that someone is able to describe how I, and many others really feel when having a deep connection to someone or something, and just can’t describe it?” Don’t think too much, it’s how you choose to live it. Jeong is you. “When I started Soko Glam, people started asking me at the very beginning when I’d start my own skincare line. The truth is, I wasn’t ready at the time even though it’s a natural next step for a retailer to create their own line. I didn’t know anything about formulation then. I had a lot of information, I loved curating all the products and I obviously knew what innovations were coming out in Korea, having an intimate connection with all the brands.” Intimacy, the root of all things connected. And now, we welcome Then I Met You. “These special stories can’t be told under the umbrella of Soko Glam. I want you to dive into a whole other side and dive deep into the community through Then I Met You.” When Charlotte was in Korea, she shared part of her five year journey in her book, The Little Book Of Skincare.Together, she opened up and dove a little deeper. “I learned two things when I was in Korea. K- beauty and jeong.” Jeong is something she experienced with family, friends and her work community, but was never able to put it into words. No one mentioned how important it was to her, especially in Korean culture. The concept of jeong is fascinating. It’s indescribable. It can’t be googled, neighboured or properly translated. It’s a feeling of deep connection that you make by interacting with someone or something deeply overtime. Hugging her for the first time, my heart opened up to the warmth of Charlotte’s inviting energy and excitement to share her journey with me. I sat down in her office in New York City, basking in her warmth, smiles and luminous skin. I wanted to sit down, human to human, and discover what jeong really means to her. And not only did I discover it, but I felt it. Discover my full review of the Then I Met You cleansing duo here. Oh, also? Keep an eye out… Charlotte is writing a book about jeong releasing this year.